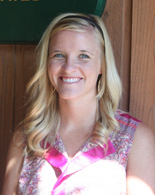 USTA Middle States is pleased to welcome Jennifer Hamel as the newest member of its staff. As the Tennis Service Representative for the Philadelphia Area District serving Bucks, Chester and Montgomery counties, Jenn will work under the direction of Ben Zislis, Director of Community Development. Jenn’s role is to develop youth and adult tennis programs at clubs, park and recreation agencies and schools in the Philadelphia area. Her responsibilities also include increasing tennis participation by promoting and developing programs in non-tennis facilities and organizations. Jenn is a recent graduate of Methodist University in Fayetteville, N.C. with a Bachelor of Science degree in Business Administration and a concentration in Professional Tennis Management. Prior to joining the Middle States staff, she served as the Assistant Women’s Tennis Coach at Methodist. Jenn previously worked as a tennis professional and instructor at clubs in Texas, Connecticut and Arizona. She is certified by the United States Professional Tennis Association (USPTA), and has completed countless hours of volunteer work with a variety of community organizations, including North Carolina Special Olympics, Fellowship of Christian Athletes, and home-school tennis programs. Jenn’s strong background as a tennis professional, her knowledge of USTA programs, and dedication to growing youth programs make her a great fit at USTA Middle States.